If you are about to go on your first camping trip, getting organised can be a bit daunting. You certainly won’t want it to turn out like my first camping trip! But with a little bit of planning, there should be no reason why you can’t have a stress-free first camping trip. Our no. 1 tip is to always check your gear before you head off on your first camping trip. Whether you have purchased it brand new, picked it up off Gumtree or borrowed it off a mate, you will want to make sure that all the important bits are there. You should also check that nothing is broken or damaged. Always check newly purchased gear too, as even it can sometimes have missing bits. This was our first camping trip in a very long while. No matter what type of set up you have, it is always wise to have a couple of goes at setting it up before you go camping with it. This can save a lot of time and perhaps some swearing and cursing when it comes time to set up. Knowing how to set your tent up also comes in handy if you arrive somewhere late and you are running out of light. Plus the quicker you can get set up, the quicker you can sit down with a beer! We had setting up the camper trailer down pat and could generally have it done in under an hour. 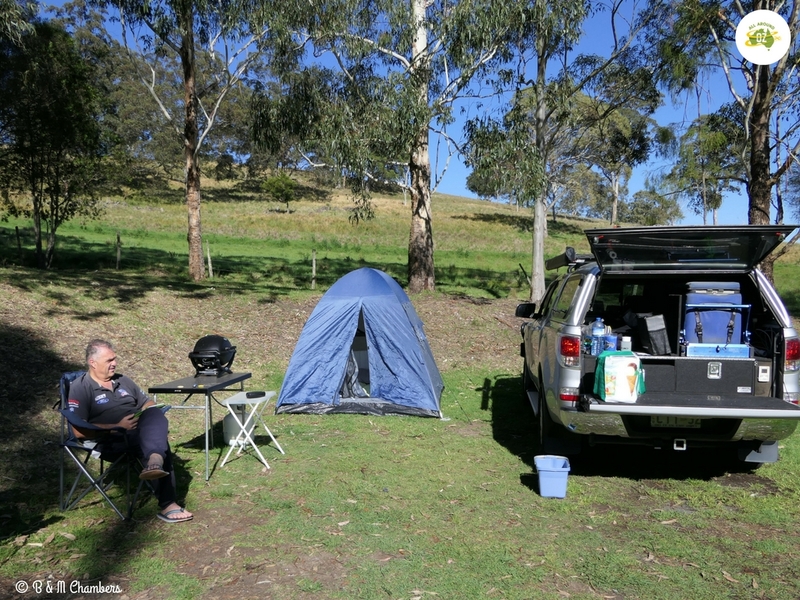 Camping can be a great low-cost way to have a family holiday or a weekend away. Take it from us, you don’t need a lot of stuff to have a great time. We have proved that you can easily camp with just a basic set-up. Even when we had our camper trailer, we only ever travelled with what we considered to be the essentials. Of course, what we consider essential and what you may consider essential could be quite different. Gumtree and garage sales can be great sources of cheap gear if you don’t have a lot to spend. Don’t discount Aldi supermarket either. That’s where our tent came from and it’s a little ripper! A great way to ease into the camping lifestyle is to take a short trip first. Find somewhere that is within an hour or two’s drive and head off for the weekend. This will give you a great opportunity to test out all your gear, before you embark on a longer trip. Kids love camping – well ours certainly did. It really gives them a great opportunity to learn new skills and to just be outside. Part of the fun of camping is letting the kids roam around and explore the area. Part and parcel of this is letting them get dirty. Kids and clothes wash up easily so let them get messy. Let them have a go at new things too. 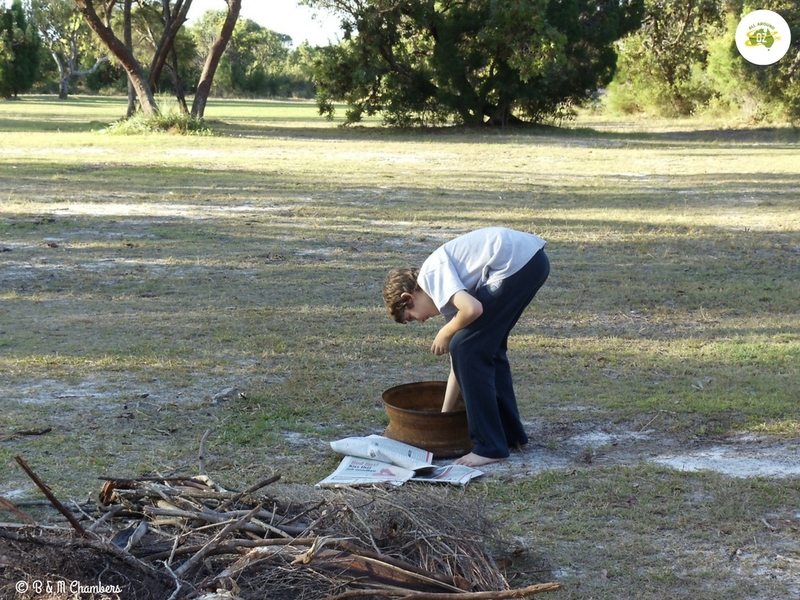 Ours learnt from a fairly young age how to get a campfire going. Letting the kids get messy and learn new skills is all part of camping. 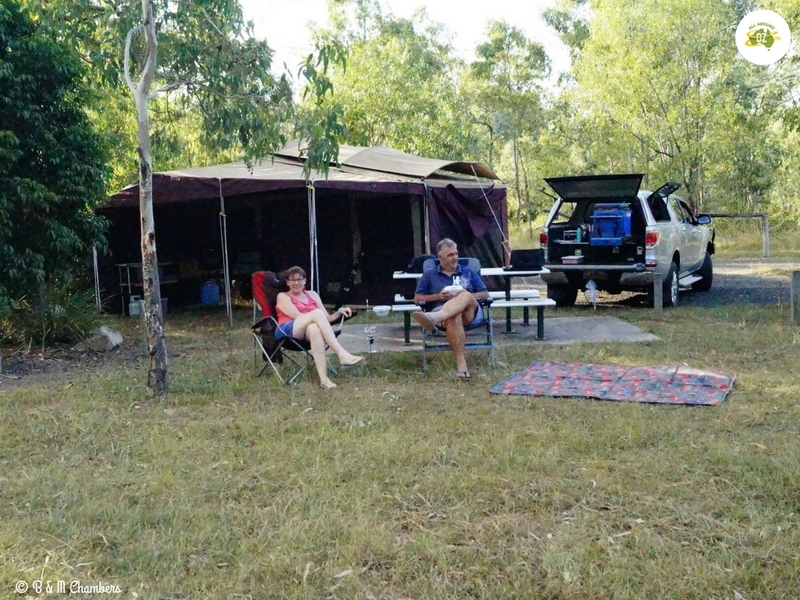 Camping can be a very sociable activity. Expect to meet other campers in many places that you go. Some camp grounds have communal fire pits and everyone gathers around for ‘happy hour’. Even the camp kitchen is a great spot to meet up of an evening. Camping is a great way to meet other families and find out about what there is to do in an area. Chatting to other campers can also help you decide where to go to next. No matter where you are going camping there are a few things we recommend that you always take with you, even if you are only going for a night or two. EXTRA WATER – You never know what water is available in some places or what it tastes like. We always carry a couple of extra bottles just in case we need it. Or you might need it to give to someone else like we did recently when we encountered a couple of backpackers camped in an out of the way spot with no fresh water. We gave them two bottles that we had spare knowing that they would have had to drive for half an hour for more. 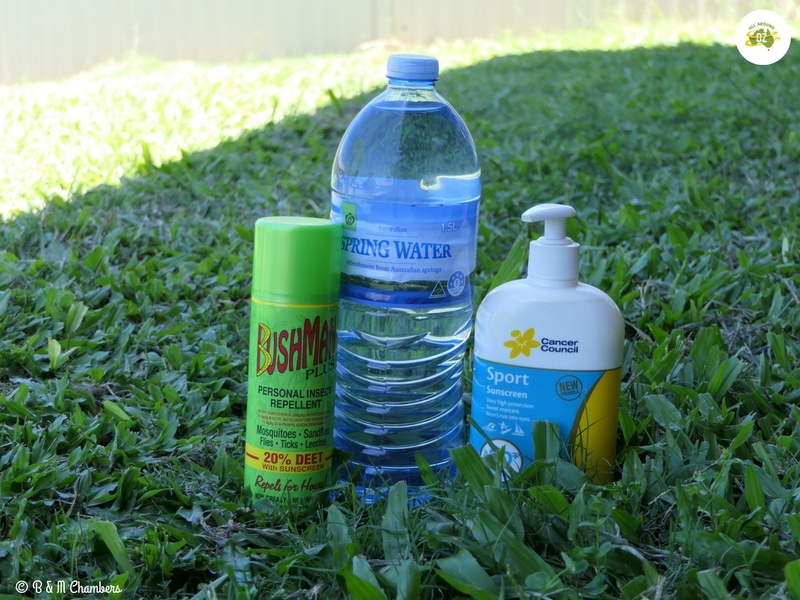 MOZZIE REPELLANT – It doesn’t seem to matter where you go, there are always mosqitoes, midgies or flies so a bottle of your favourite mozzie repellant is a must. SUNSCREEN – The sun here in Australia can burn you to a crisp within a matter of minutes. Everyone needs to remember to be sun safe all year round. WARM CLOTHES – I generally pack a set of warm clothes no matter what time of the year it is or where I am going. Australia seems to know how to flick the weather switch from warm to cold with no warning. Make sure you never go camping without water, sunscreen and mozzie repellant. Most importantly of all, relax and enjoy your first camping experience. We are sure there will be many more to come! Do you have any great tips to add?